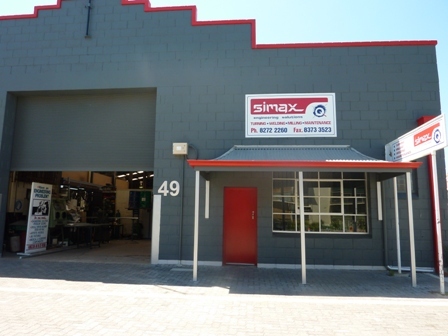 Owned and operated since 1980, Simax Engineering has established itself as one of Adelaide's leading precision engineering business'. Specialising in general engineering, fabrication and problem solving. We have assisted in all areas of industry including aviation, mining, medical, residential and industrial, building, food, education and farming, just to name a few. Recently incorporating servicing and repairs to chiropractic and physiotherapy tables. Situated centrally, just out of Adelaide's CBD at Parkside, we are accessible from all areas yet are able to provide a large modern engineering facility in the heart of Adelaide.